CSS Insurance is one of the leading health insurance companies in Switzerland today and has approximately 1.66 million customers to its name. The CSS business is supported by critical applications such as the CSS web customer portal and Oracle Siebel CRM. It’s essential for them to ensure application reliability and speed under load. To meet this demand, CSS has recently selected NeoLoad for its testing of their most critical applications before production. The core of the system tested is built around three primary applications: the CRM application, CSS web portal, and the internal invoicing system. The CRM system deployed at CSS is heavily customized, and as a result, includes different behavior than the software tested by the vendor in its testing environment. Having specific periods throughout the day seeing a lot of concurrent users, the risk of performance bottlenecks rises. Performance bottlenecks needed to be identified and fixed. New performance challenges came with necessary changes concerning hardware/interface components. Again, realistic load and performance testing were required to limit the risk of decreasing reliability or efficiency. With 340K active customers and traffic volumes growing at a fast pace, the CSS web portal presents another strategic element for the CSS IT environment (including AngularJS and jQuery). This application, which enables customers to view and manage their account activity, produces expected seasonal traffic spikes in October and November, when, for example, the insurance policy commercial offer calculator is called 300 times an hour (mobile and desktop browser-driven). 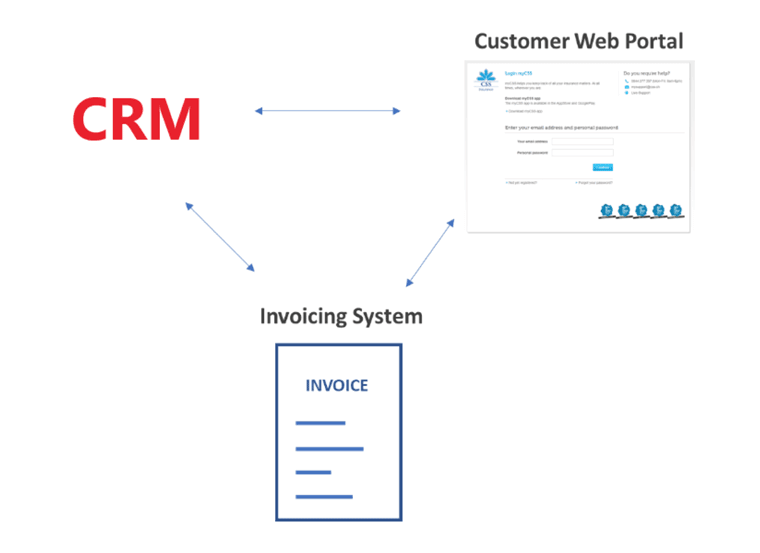 The internal invoicing system, which was self-developed in Java, is known to generate significant transactional volume between this and the two others (with three components deeply interconnected). One of the primary challenges for CSS was to find a testing tool that could satisfy their advanced technological need for complex Hessian technology application testing. Because application performance is critical to CSS, the organization is monitoring the application in production with a specialized APM-Tool. NeoLoad’s openness enables CSS to leverage this tool to monitor load tests in the pre-production environment. When non-regression performance tests fail, the APM-Tool is used as a complement to NeoLoad’s native monitoring to perform deep-dive, code-level analysis. As CSS is enhancing its agile development methodology, one of their first following steps is to integrate load and performance testing across all current processes. With NeoLoad’s easy-to-use and learn UI, Lepper is convinced that Developers will be able to get up-and-running using NeoLoad quickly, starting their performance tests as early as needed in the development process (component level). Part of this, for the CSS team, is to integrate NeoLoad into the Continuous Integration process. More generally speaking, CSS is continually adopting new approaches regarding digitalization, which can alter the application environment significantly. As a result, performance tests will be crucial to understanding the behavior of all associated interconnected systems pre-production. One more reason why Lepper takes advantage of working with NeoLoad. … this has really helped us improve our customer experience leading to more satisfied customers.